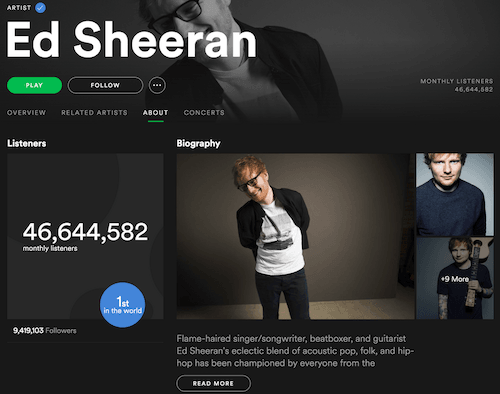 Spotify offers two versions of its music-streaming platform: an advertising-supported version and a paid subscription service. It could steady its sales, boost its margins and focus its business by getting rid of the free option. Spotify’s bosses argue the free version “serves as a funnel”, attracting new users then converting them into paying ones, and view it as a “strong and viable stand-alone product” that can generate long-term growth in users and revenue. Indeed, it accounted for 60% of Spotify’s gross added subscribers between early 2014 and early 2018. It’s also growing quickly: monthly active users could exceed 200 million at the end of this year, up from 64 million at the end of 2015, potentially lifting revenues from €196 million to €480 million over the same period. The product also swung from a loss in 2015 to a gross margin of 10% in 2017, and has widened that to an average of nearly 16% over the past three quarters. Nonetheless, Spotify should focus solely on its premium service. Its subscribers are set to exceed 93 million at the end of this year, up from 28 million in 2015, likely boosting premium revenues from €1.7 billion to about €4.7 billion over the same period. Although the free and premium services have grown their user bases by a similar proportion, the latter’s sales have grown about a third faster and are much larger, consistently accounting for around 90% of Spotify’s total revenues. The premium service is much more profitable than the basic service too, with an average gross margin north of 26% over the past three quarters. Shutting down the free service would force users to pay up or lose access to their playlists and Spotify’s music library, accelerating growth in subscriptions. Average revenue per user (ARPU) — which has fallen from €7.06 in 2015 to an average of €4.78 over the past three quarters — would likely recover as North Americans and Europeans, who make up two-thirds of Spotify’s monthly active users and 71% of its subscribers, shell out to join the second category. Churn, which has already fallen from 7.7% in 2015 to below 5% earlier this year, might fall further as premium users refrain from cancelling their memberships in the absence of a similar free service. Spotify could also hike prices with less risk of losing users, and focus money and staff on bolstering its premium service rather than courting advertisers and developing ad products and technology. One risk is that thrifty users in Latin America and other emerging markets, where Spotify is experiencing faster growth in monthly active users than in developed markets, decline to shell out for subscriptions and quit its service entirely. However, Spotify should concentrate on making its platform and content compelling enough for people to pay for it. Running a pure subscription business would free Spotify from the headaches of unpredictable demand and fast-changing technology in the advertising space, and result in the predictable revenues and cash flows that investors love, making it easier for the company to finance investments in content and research and development. Spotify has converted millions of users of its free service into paying subscribers, supporting its claim that the twin products “love independently, but thrive together”. But the superior scale, profitability and stability of its premium service, particularly without a near-identical substitute, might mean it’s better off alone.